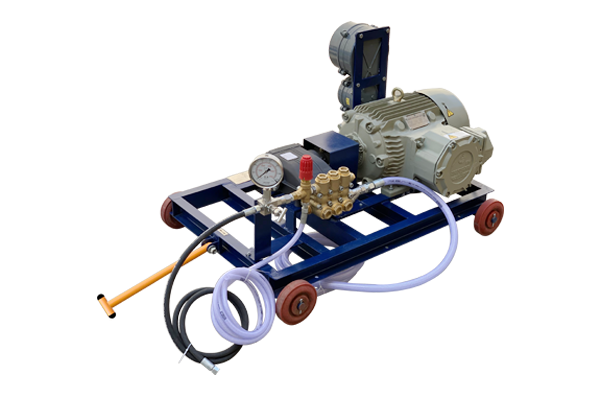 Triplex plunger pumps are low maintenance solutions for high – pressure application such as hydro testing, car washes and jetting application. 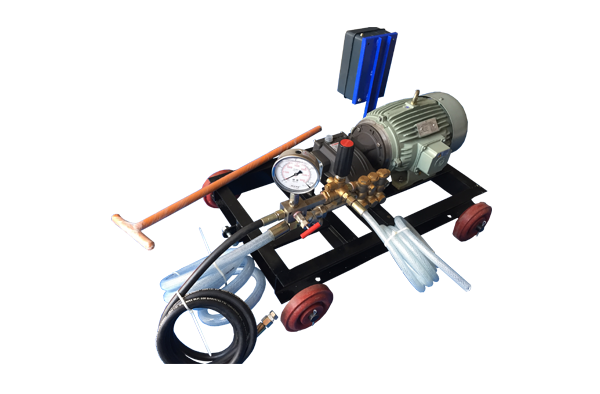 This pump is excellent for testing leakage and integrity from Boiler, Pressure Vessels, Metal Casting, Gas Cylinder, Pipes & Tubes Part. Triplex Plunger Pump are supply with different metals like brass, forged stainless steel 304, stainless steel 316, duplex steel, nickel bronze aluminum bronze etc.Ambica Machine Tools is a pioneer plunger pump manufacturer in India providing superior-grade solutions to a global clientele base since its foundation. Self oiling system quick acting relief valve. Pump head made from brass material. Crank case made from aluminum material. 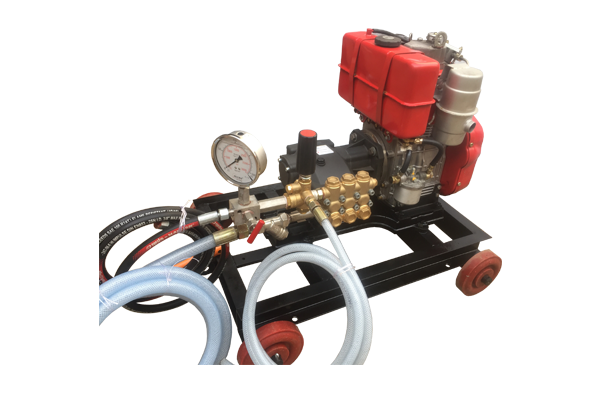 Discharge pressure hose with attachment of ½” bsp length 2 mtrs. Discharge valve (NRV) made from stainless steel material.